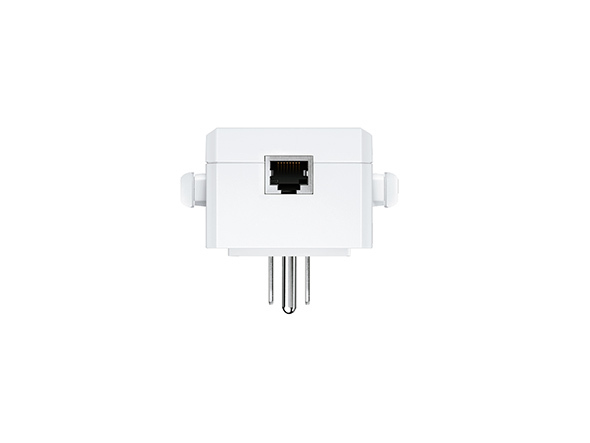 The TL-WA860RE wall-mounted is designed to conveniently extend the coverage and improve the signal strength of your wireless network. 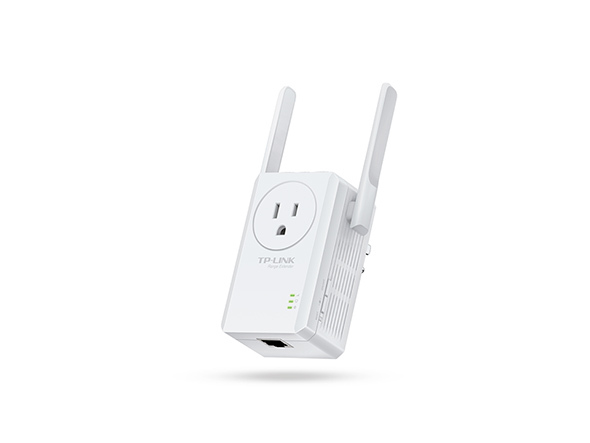 With 300Mbps wireless N speeds, TL-WA860RE turns your ‘dead zones’ into connected zones, helping you keep mobile devices, media players and computers connected to Wi-Fi with a reliable connection. The TL-WA860RE's miniature size and wall-mounted design make it easy to deploy and move flexibly. 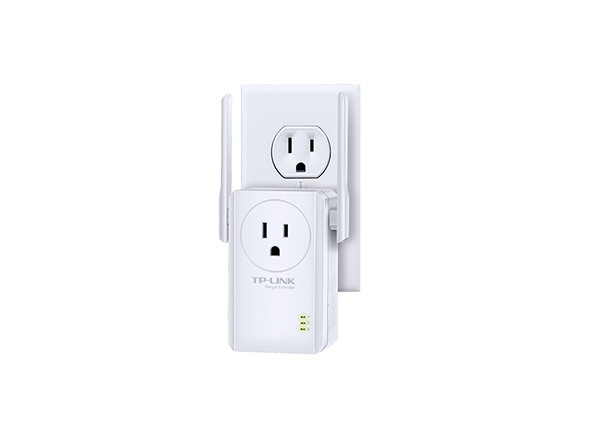 Once connected with an existing router, you can simply unplug and plug the Range Extender back in anywhere without the need to configure it again. Moreover, its integrated power socket ensures that no power outlet goes to waste. Just plug and play. That’s all you need to do to extend your wireless network. 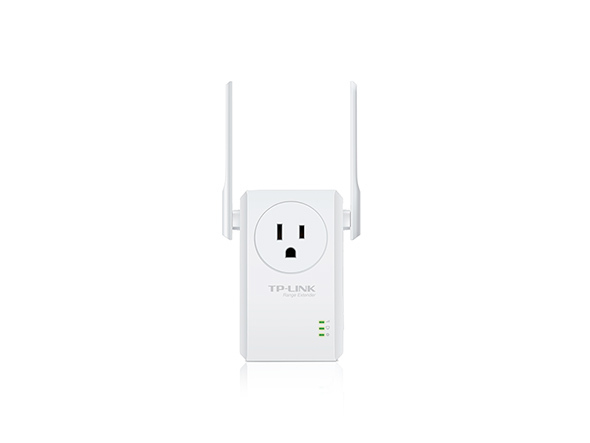 With no new wires or cables, within range of their existing wireless network, users can easily extend wireless coverage at a push of the WPS button on their router followed by the Range Extender button on the TL-WA860RE. 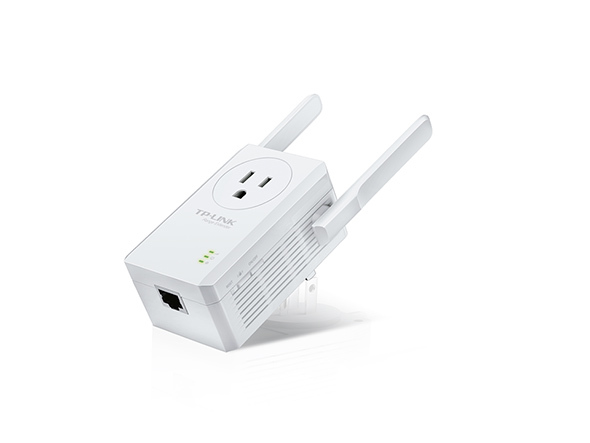 The TL-WA860RE's single Ethernet port allows the Extender to function as a wireless adapter to connect wired devices like Blu-ray® players, gaming consoles, DVRs and Internet TVs. At the same time, the device can also share the wireless network. 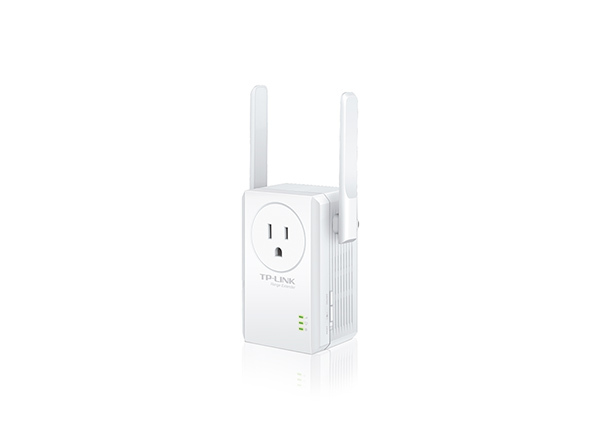 The TL-WA860RE provides fast connectivity for lag-free HD/3D video streaming, online gaming and internet calling with 300Mbps wireless N speeds. Smart signal lights show the strength of signal that TL-WA860RE receives from the existing router, which can help to find the best location for optimal WiFi coverage.